A field worker explains how a visual chart works to a leprosy patient in Van Mon leprosy village, Thai Binh. VIET NAM. © Le Van Tung. 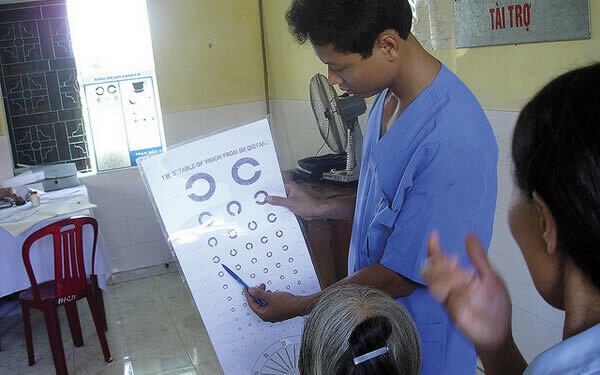 Community Eye Health Journal is published by the International Centre for Eye Health, a research and education group based at the London School of Hygiene and Tropical Medicine (LSHTM), one of the leading Public Health training institutions in the world. We’re always interested to hear what our readers and supporters have to say. Contact us and let us know what you think.